Above, you find the reason for my absence. Just a part of the madness that has kept me surrounded by cardboard boxes, tape, and suitcases. Remember at the end of this entry, when I decided to quit? Well, I did have a plan. My timing may have been fortuitous, given the current state of things, but luckily, I left of my own volition. It was time to go. It had been for some time. The final catalyst, however, was that I had also been called home, to help with a little makeover. My parent's have lived in the same house for 24 years. It is home to me, the place that holds most of my memories. My room, the container of my entire youth, had been all but untouched since that day I left for college, 10 years ago. 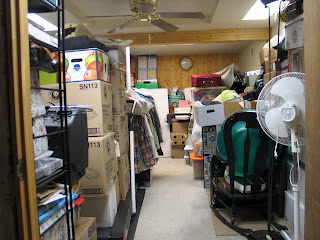 So you can imagine the challenge of boxing it all up to get ready for a bit of freshening. Oh what we keep if we have the space. Report cards from elementary school. Key chains from that first trip to Disneyland. Letters to pen pals from days gone by. Trinkets of all shapes and sizes, which may have once held sentimental value. It piles up. It is strange to deconstruct the room you spent a lifetime building. To decide what things are worth keeping, what things you can part with. To imagine your space being different then how it always was. I can understand how my grandparent's house can still have the original finishes from the day they moved in almost 30 years ago, down to the pink tiles and etched mirror walls. It is a momentum thing, or perhaps the lack there of. Things find their place, and the spaces that once evolved around you, find footing and take root. You get use to it, comfortable with it, attuned to it. You can walk around your space, lights off, and still know where you are, where you put your favorite book, and what to step over on your way out the door. Things imprint themselves, your body memorizing the distances, the paces - a second sight that requires no visual ques. And so, while it is exciting to propose new things, pick out shiny finishes and fixtures, dream about possibilities, it is done with some sense of melancholy. 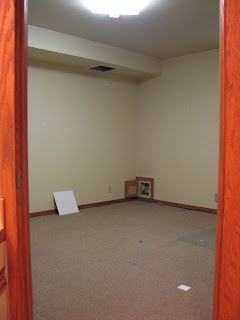 The space held in my memory is now gone, slowly erased as each box was packed, each piece of furniture moved. An empty shell now sits waiting new life. A life in the shadow if its past. Maybe everything will go back to what is was, furniture finding way to their original places, called back by a sense of nostalgia, a reclaiming of the past. Maybe this rupture will allow for a new way of living, a new space to evolve, reflecting the fact that my room has not actually been home for quite some time. The anticipation of what is to come is as intoxicating as it is nerve racking. I guess, in a few months time, we'll know for sure. Recognize the building? Perhaps as a proposal for some personal mansion in India? 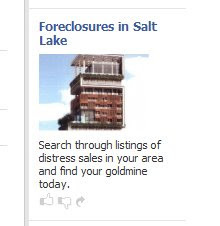 Maybe facebook is trying to tell us something....Leave your thoughts in the comments.